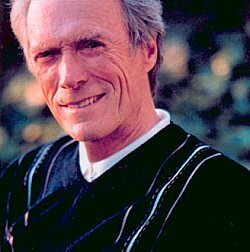 Not content to simply be an actor, Clint Eastwood has developed a successful career as a director, too. The Man With No Name has directed himself in no fewer than 12 pictures since 1982, including the 1992 Best Picture, Unforgiven, for which he also won the Oscar for Best Director and scored a Best Actor nomination, one of a select few to achieve this feat. In 2002, a few months after turning 70, he will again headline and helm a film, this time bringing Warner Bros.’ Blood Work to the screen. Brian Helgeland, best known for co-writing the screenplay for L.A. Confidential, adapts Michael Connelly's best-selling novel for the screen. Eastwood stars as the ruggedly-named Terry McCaleb, a retired FBI agent specializing in serial murder investigation. Having left his career behind, McCaleb spends his days restoring his boat as he recovers from heart transplant surgery. But will McCaleb be able to turn down the appeals of a woman whose sister was killed in an apparently random robbery? Don't bet on it. Might there be more to the death than thought at first? All signs point to yes. Might the deceased in question be the very donor of the new heart that beats now in McCaleb's very chest? You bet. And might the case inexorably be linked to a mystery still lingering from McCaleb's past? I wouldn't rule anything out. In her first big screen role of note, Wanda de Jesus (the real-life wife of actor Jimmy Smits) co-stars as Graciela Rivers, the sister of the deceased. Other veteran cast notables include Jeff Daniels as McCaleb's friend, Paul Rodriguez, and Angelica Huston, last seen in 2001's The Royal Tenenbaums, as a cardiologist.